Storing all the fur cosmetics and taking out the sleeveless outfits to air them in advance. Storing away (almost) anything wintry: yule deco, fur clothing, heavy boots. From now on, ice only for beverages and ice-cream! 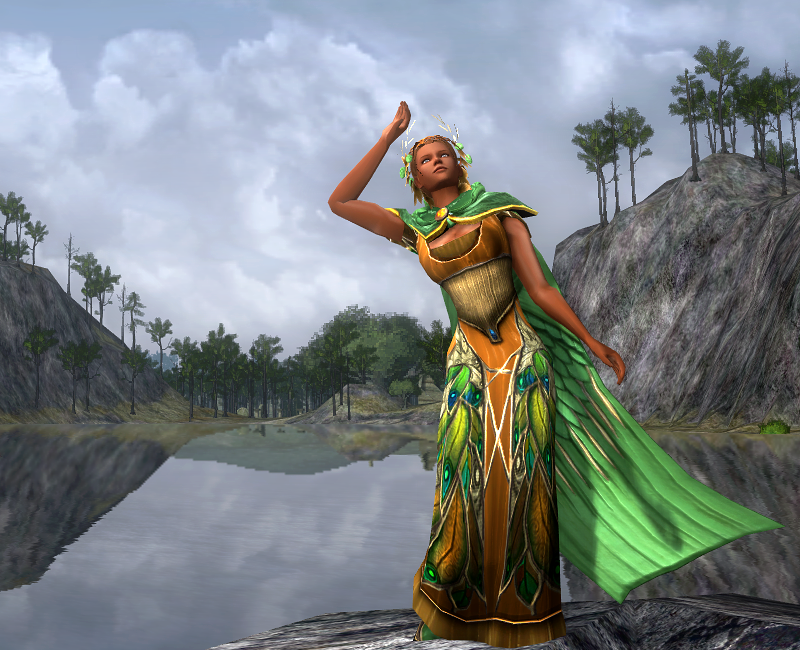 Congrats with the 100th Lotro Beacon! Thank you for all the wonderful information about the community every week! How am I preparing for warmer weather festivities? Dresses of course. Dresses. Lots of dresses. Did I say dresses? My dwarf has procured a box of obviously magical tissues from the Lonely Mountain to deal with the inevitable pollen allergies that will accompany the arrival of spring. Prepares for the warm weather festivities? Rigorous gym schedule to strenghten my legs for the upcoming shrew stomp! Don't forget to strech after training! making lots of Honey Brews to help with allergies. Time for the Honey Mead!!! here in Canada, it's still as cold as Forochel … so it really feels like Spring is a world away! I'll prepare myself for Spring when I'll be able to put my winter gear away! Spring is quickly approaching. How are you preparing for the warm weather festivities? Gathering my swarms of bees to set loose in the hedge maze at the right moment. I am practicing my best stomps and tricks for Stomp-A-Shrew, and swinging my bat at my enemies to not only defeat them, but also throw them back! I also plan on practicing shooting fireworks up in the air to make a great show! But best of all, I am /stretch ing for the scavenger hunt cards hanging from the Party Tree. Time for adventure! I doubt Anvil will be any warmer. Looking forward to March 19: Spring Festival 2019, and also the anniversary of the Host of the West's arrival at the Morgul Vale... foreshadowing! As an individual from the southern hemisphere I find this post seasonally racist as we are now entering Fall and only just now airing out our winter apparel. I'm not ready! It will be my first time at this event, and the first time we never forget! Getting ready to spring fling! "Never laugh at live Dragons...."
Good weather means my dwarves can go Bare-Chested again. Warm? No!!! I'll summon my Grim pet keep cool! I'll just, keep on playing, keep on playing keep on playing...playing...playing! I'm building my tolerance and practicing my balance to try running the Greenfields again this year.